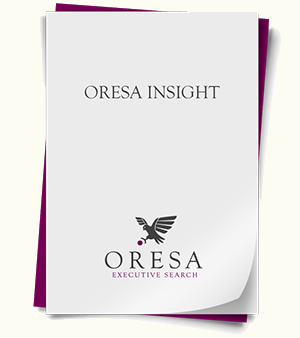 ORESA’s research aims to prompt debate, drive change and offer guidance and support to senior leaders in the fashion, retail and digital industry. To download one of our reports, click on an icon below. You can find plenty of insightful pieces online about the habits of successful CEOs (they’re all meditating at 5am and only look at their emails twice a day!) but the clever folks at McKinsey & Company actually tracked a big sample of roughly 600 chief executives at S&P 500 companies between 2004 and 2014, providing some less wishy-washy insights that we can actually ascribe some value to. Now the second biggest shareholder of the company – a British affordable luxury footwear and accessories brand, worth approximately £100million – John credits his success to decades of hard graft, a nose for business and an inherent understanding of how to motivate people. 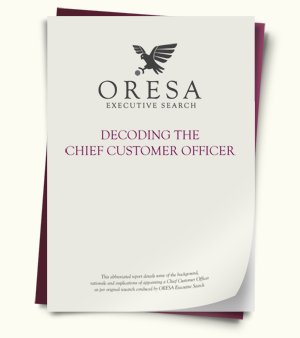 (DOWNLOAD) This abbreviated report details some of the background, rationale and implications of appointing a Chief Customer Officer. This is a must-read for CEOs or HRDs looking to make customer- centric change part of their growth strategy. If you would like to receive or discuss the full report, require help on defining a CCO vacancy/related structures or to discuss any of the points raised in this report please contact us. Is Your Boardroom Diverse Enough? (DOWNLOAD) As pressure mounts on organisations to diversify their boardrooms, we speak to industry leaders to give you a unique insight into the ways and opportunities available, to help your organisation reach a gold standard. (DOWNLOAD) Constantly reducing costs of technology and widespread connectivity are driving the growing adoption of electronic shelf-edge labels (ESLs) and the opportunity for introducing dynamic pricing into stores now looks a distinct possibility. However, this is not the first time it has been on the sector’s agenda. Is Hybrid Retail The Future? Online shopping continues apace, leaving ecommerce retailers gleefully counting the profits and traditional stores working harder than ever to convert dwindling footfall. Considering this dynamic it is even more important that physical stores are differentiated to succeed. Click & Collect-type services have become a key part of retailers’ multichannel propositions, particularly with traditional retailers where they can wring some much-needed value out of their large physical store estates. ORESA investigates the potential of such services and the new concepts on offer. Are retailers really offering the convenience consumers are looking for and will it ultimately increase sales? Brands have become big news in fashion. As specialist retail headhunters we have directly observed how this is changing the way companies structure their brand teams and the candidates they recruit. But are they changing enough? A spate of recent appointments has highlighted the growing number of journalists moving from publications It is the latest indication of a trend that has been increasingly apparent for over a decade. ORESA investigates the phenomenon and looks at the unique skills these candidates are bringing to their new roles. Multichannel is now a way of life for many retail businesses. With that shift in the business model, talent requirements have also changed. 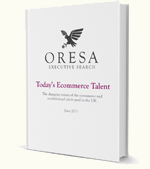 Here we share our knowledge of the different types of ecommerce and multichannel leaders available in the market.